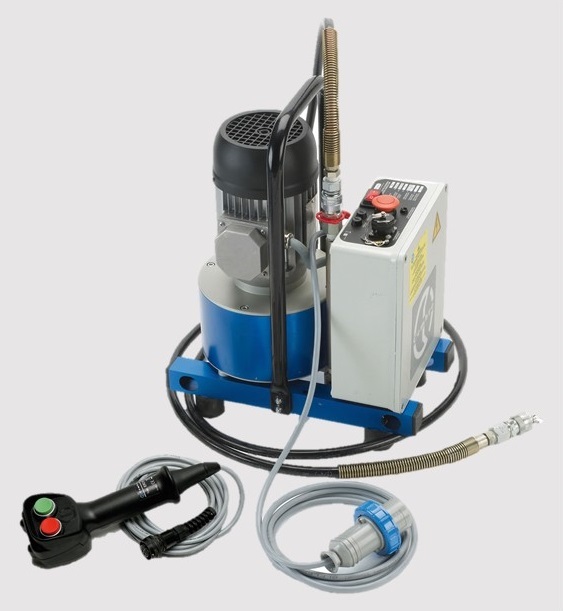 Electrically driven hydraulic pump, powered by a 230V/50-60Hz single-phase electric motor. 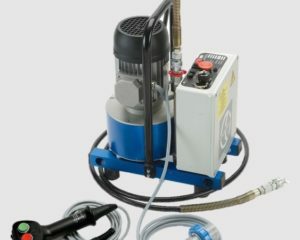 The mechanically actuated emergency button located on the pump body allows the pressure release at any time in case of power shortage. Both models are IP55 rated.